Benjamin Lim Photography strongly believes in building relationships. We believe that your personal events are as important as ours hence we provide more than just a photography service. Our style of photography is journalistic with a touch of elegance and simplicity. We believe in making our clients look their best in our work. We do what we do because we do love what we do – being a part of your lifetime milestones and making new friends along the way. We believe that photographs are the reminders of the memories that we may one day forget. These are the only tangible objects that would forever affect us emotionally and remind of that special day where joy, fun and laughter may have been forgotten. Every client that engage us would have a consultation session where we would get to know you better and assist in the planning of your event. Knowing more about your event helps us to work with minimal intrusion and would allow us to capture the moments in it’s purest essence. We take photographs that last a lifetime, in forever is what we believe in but what makes us different is we personalize our services and build a lasting friendship. 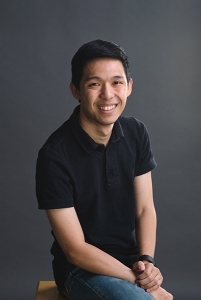 Founder of Benjamin Lim Photography, he has been shooting weddings since 2009 and has worked along side with many top photographers in the country as their associate photographers. In 2010 he has been also been recognize and awarded a Professional Certification by MPA (Masters Photographer Association, UK), WPPI (Weddings and Portrait Photographer International) and WPPM (Wedding and Portrait Photographer Malaysia). Starting out as a self taught photographer in 2008, he has quickly improved his craft and gained recognition with his work and and won some international awards. Being a natural observer his eye for details and moments has been improve while working among the very best of the country. His believes that capturing everything at it’s best and delivering a different perspective makes his pictures different and memorable. His style of shooting is non-intrusive and relax gives his clients no pressure and brings out the natural and true emotion when in front of the camera. His believes in the full experience isn’t just base on the day of shoot but it’s a start to and end experience from the day of engagement till delivery of the memento art work. A picture paints a thousand words… Ben is a highly skilled professional who captured precious moments and joyful emotions from the bride & groom and their many guests. He is friendly, approachable and very easy to work with. Thanks to his dedication and diligence, we’re proud to share our wedding album with friends and family. Thank you Ben for our wonderful portraits and for enabling us to journey back in time over and over again with fond memories. It was a pleasure to have Ben Lim shoot our family portraits. He was professional and attentive every step of the way – Needless to say we were very pleased with the final images. Highly recommended. This was our 2nd time working with Ben. In the past he assisted with our wedding photo shoot – and from there decided to use him for our family portraits as well (with my parents, siblings and their wives). It was a pleasure to have Ben Lim shoot our family portraits. He was professional and attentive every step of the way – Needless to say we were very pleased with the final images. Highly recommended. Ben is a wonderful photographer. From the first time we met him, we were impressed with his degree of professionalism. He spent time to get to know us better, what we expected of him for our wedding photos and planned the actual day down to the pictures captured invoked the exact feeling we felt on that day. Every time we flip through our wedding album, we relive each and every moment as if it were just yesterday. Kudos to Ben for going above and beyond.